Looks like the same Mag body as the XDM, and, if you have it there still, I’d be interested if you can use an XDM Mag in it. With the proximity to Croatia, it may have been an off the shelf item from the same vendor. The XD mags are quite nice, actually. XDM mags will not work. Unfortunately. Proprietary means proprietary. 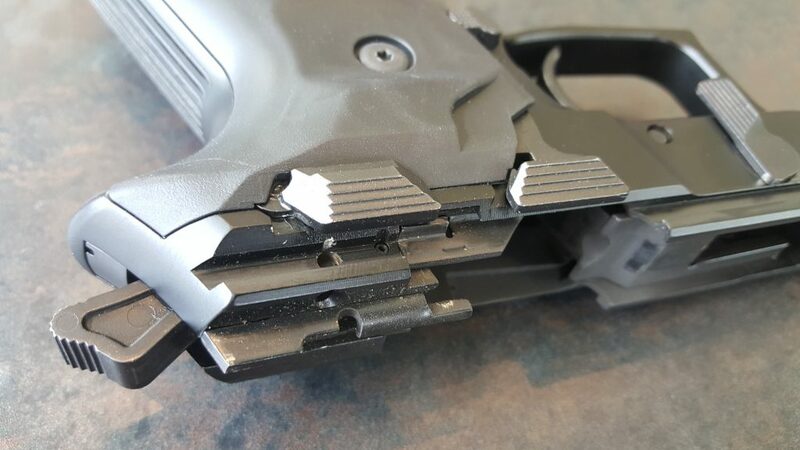 Sig sights dovetails are too big. As for mags, they’re mec-gars. Same body as a cz75 or Beretta 92, but different catch location. Still at $25 a pop, why bother seeing if others will fit. Grips also proprietary. 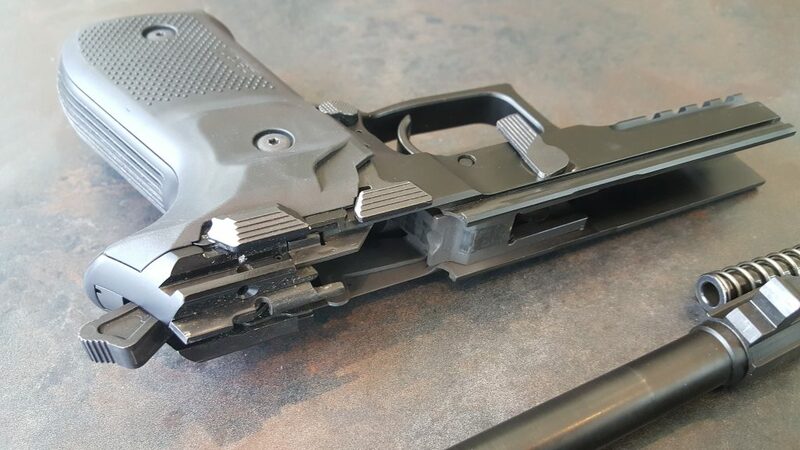 Interesting, will it use SIG holsters? Who has never owned a SIG and has mostly avoided the Eastern Europe guns. Maybe a 220 Combat holster. You need to try a real SIG. I have just gotten a Rex zero 1s and have read a Sig P2022 holster is an exact fit in Kydex. I ordered a leather pancake for 2022 and fingers crossed. I haven’t taken the gun to the range as yet and have an itch. Will my bride of 40 years allow me out with my new girlfriend ( Zero 1) on Easter Sunday? Well they are certainly both SIG knockoffs. And the two countries are close. FIME group was importing the Zastava CZ99 for about $400+. EAA imported the Zastava EZ9 for about $300+. Now FIME are importing the AREX REX. Seems like they got the plans from Zastava, moved production over one country, made some mods and now want to sell it for $700. Get a Sig you will be happier. If cost is a factor get the Sig 2022 for about $499. Its polymer but shoots fantastic. I have a SIG 226 and I just recently picked up the Arex ReX Zero 1. As much as it pains me to say, the ReX is an improved SIG and is worth every penny and then some. The grips look horrible IMO but actually feel ok. The dual function decocker/slide stop is fantastic. The is not too many after market options yet, but to be honest I really wouldn’t change a thing. I have a HK VP9 that I feel is more comfortable from a sheer grip standpoint, but the Arex feels better to me than my SIG. The SA mode on the Arex is awesome too. There are grips but no night sights. Until there are night sights, I know I won’t look at it seriously. If they were smart, they would have made it set up in the same way the Sigs are so they could use the same night sights. Can’t put my finger on it but there’s just something “off” with Miss Slovenia. Kind of a scary girl vibe. I recently ordered a Rex Zero and time will tell if this pistol will gain more popularity and thus have more non OEM add ons available. Arex should have standardized the dove tail sight size so a bummer to me. I’ve read that any holster that fits a Sig 2022 is a perfect fit for the Rex “0”. My Rex is in transit to my FFL guy so in the meantime I search posts for after market add-ons and not many comments after hours of searching. Arex claims a minimum 30,000 shot life but will be interested to get the pistol in a Ransom rest at birth, and a few thousand shots later with micrometer readings along the way. There have been positive comments on this pistol but,but, but it has only been on the U.S. market for 1 year. 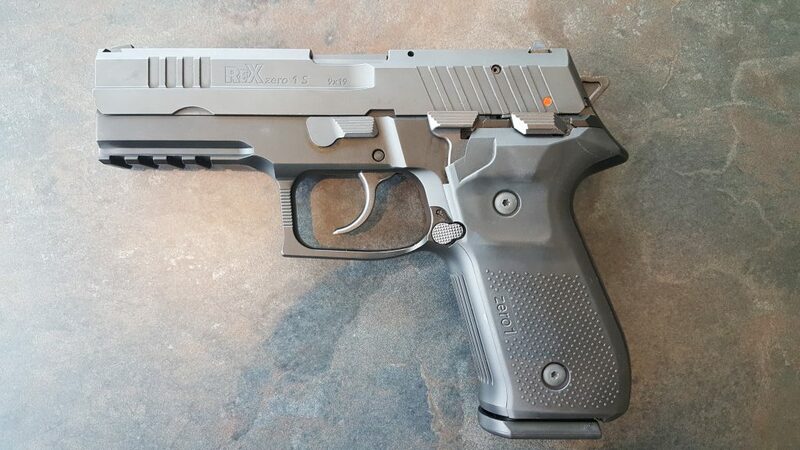 Arex does claim they are not trying to reinvent the wheel although this pistol has a few nice features Sig lacks. 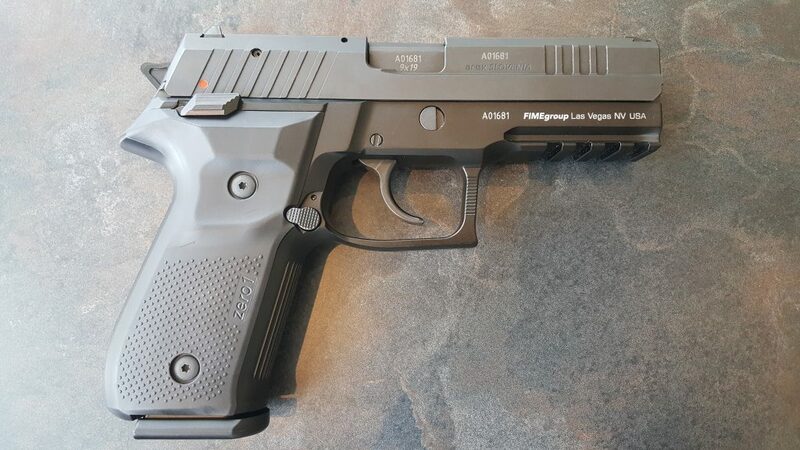 A copy of a Sig is the best form of flattery and it will be an uphill battle for Arex, same as any new intro pistol to the Western market, so time will tell. Comments in general claim lovely fit and finish and a few comments hate the grips but that is subjective. That said,….I’m hoping this unit measures up to my expectations. Lastly, I prefer a non poly lower frame and this unit with 7075 aluminum is really hard so don’t confuse this with a soft grade aluminum. Its um Awsome. 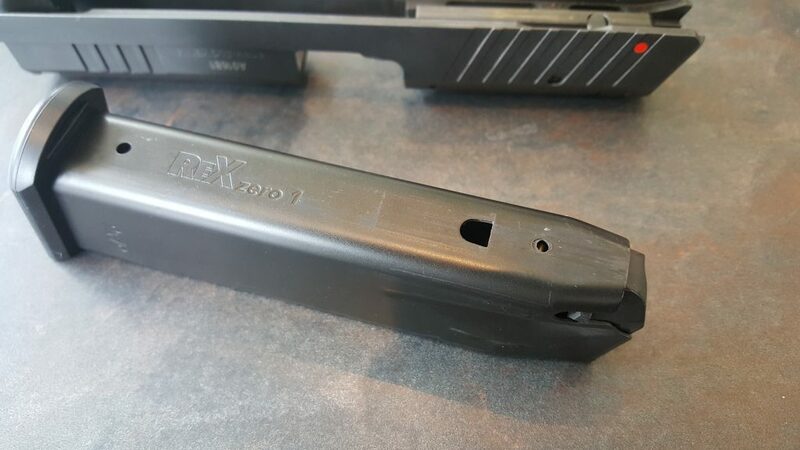 You will notice weak extraction patterns at first and failure to lock slide on after emptying a mag.. After some 800 and 1000 grit sand paper on the contact points on the slide it launches brass and always locks slide open. Best break in fluid IMO. Moly with a hint of 5w-30 🙂 then straight Moly after degreasing. I’ve had a sig 226 tactical, a sig 229 scorpion, a sig 229 legion. 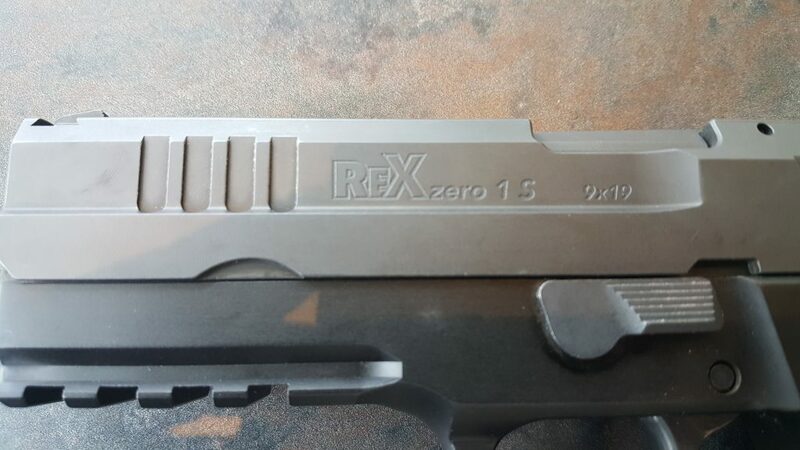 I recently picked up a Arex Rex zero 1 CP. The compact model. A 229. I was sceptical. I expected Taurus level fit and finish. I was very surprised, it’s a damn nice gun. Fit is tight. Finish is great, no burs, no machine marks. Feels good in the hand, good weight. I know it’s been said a lot on the gun sites…but the performance of the Rex in the Military Arms Channel torture tests was astounding. The fact that it performed better than the 226 Legion was an eye opener as well. Truly an impressive gun. 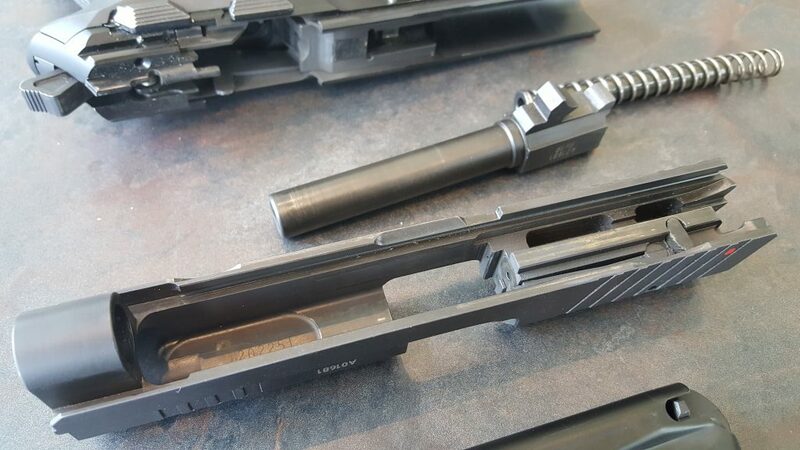 Honestly, I think the SIG 226’s failure was more of a fluke and improper lubrication. The Arex is an impressive handgun, that’s true. But I question how long it will remain being an impressive handgun. I question the materials it’s made with, and how strong the metals are. Time will tell. Do you mean it’s not made out of 7075 aluminum? Or the steel is questionable? Or lots of MIM? These are no longer going for $200-$400 retail… not sure if they EVER have and i’m not sure where you got that pricing from. These are $620 easy. Then the Arex rep (Who was also the Arsenal Rep) came out to visit me and show this gun to me… Retail was about 400 bucks. Because no one had really heard of them before. Since they’ve gained a popular reputation, prices started to go up. This is how the market works with unknown companies with unknown products. Remember the HOT SHOT 2000? Then it became the HotShot 2000, then the HS2000, and then it became the Springfield XD… and instantly the Price literally doubled overnight. Because it was a known name.